GOP Sen. Ben Sasse (Neb.) said on Wednesday night that he urged President Trump to nominate someone besides Brett Kavanaugh to the Supreme Court earlier this year. "Although I've said many complimentary things about Judge Brett Kavanaugh and his distinguished record ... 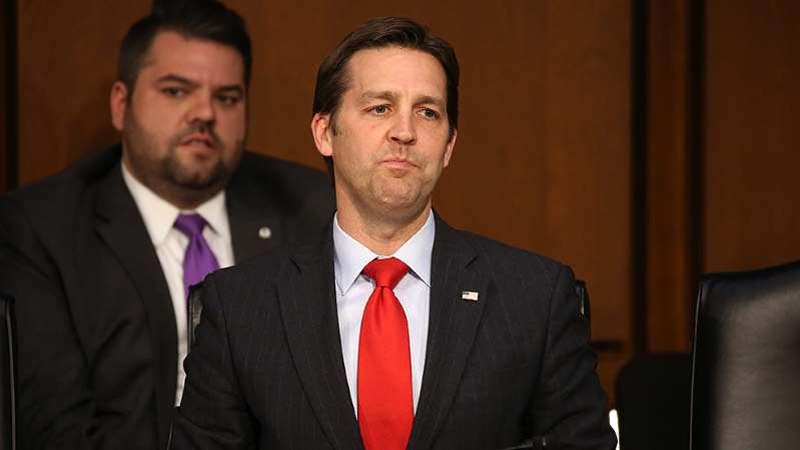 I will say that I urged the president back in June and early July to make a different choice before he announced this nomination," Sasse said as part of an emotional speech from the Senate floor about sexual assault. Sasse did not say who he urged Trump to nominate but that he "urged the president to nominate a woman." Circuit judges Joan Larsen and Amy Coney Barrett were considered to be on the White House's short list for the Supreme Court vacancy created by Anthony Kennedy's retirement. Sasse, stressing that he did not know who the nominee would ultimately be, said his reasoning was based partly on his belief that the Senate is not equipped to handle any potential sexual harassment or sexual assault allegations. "Part of my argument then was that the very important Me Too movement was also very new and that this Senate is not at all well prepared to handle potential allegations of sexual harassment and assault," he said. Kavanaugh is facing several allegations of sexual misconduct dating back to his days in high school and college. He has denied wrongdoing. Sasse added that while he believes most sexual assault allegations are true, he warned that "in this city ... that situation might have well been different, I argued in June." "In the interest of cautious prudence I urged a different path than the one that was chosen," Sasse said. Sasse is the latest GOP senator who is known to have urged the White House to pick someone else besides Kavanaugh. Kavanaugh came under fire from social conservatives before he was officially picked by Trump. GOP Sens. Rand Paul (Ky.) and Tom Cotton (Ark.) were a bloc of conservatives who privately expressed concerns to the White House about nominating Kavanaugh, a person familiar with the discussions told The Hill at the time.